Special Needs Trusts: What Expenses Can They Pay For? A special needs trust or a supplemental needs trust can be established to help a disabled individual who is receiving assistance from the government — or is eligible to receive it. Disabled people, who cannot support themselves and rely on government assistance, are not allowed to have more than a certain amount of personal assets, so family members can’t just give them money to pay for just any expenses. The use of a trust can pay for some expenses and keep the disabled person from being disqualified from receiving public assistance, including Medicaid or Supplemental Social Security, because he or she has acquired too much money. 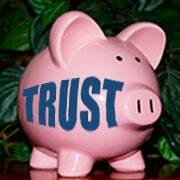 Let’s say you are appointed to be a trustee of a special needs trust or supplemental needs trust. Or perhaps you are a beneficiary of such a trust or you want to set one up for a loved one. In these cases, you want to know what permissible expenses the trust can pay for without losing governmental support. This article will address the products, services and debts that a trustee can pay for a beneficiary — and which expenses are not permissible. If someone is deemed incapacitated or disabled, and is receiving governmental assistance such as Medicaid or SSI, the law allows for the creation of an irrevocable trust. This is also true if an individual is disabled and eligible for public assistance but has not yet applied for it. A special needs trust is funded by either a third party (such as a parent) or from the applicant under certain circumstances so that a designated trustee can pay for some expenses of the applicant without him or her losing the governmental assistance. Families can also use special needs trusts to shield excess income for Medicaid purposes. By using a trust in this way, a disabled Medicaid recipient can actually keep the benefit of almost all of his or her income under certain circumstances, rather than having to pay a portion of it towards the cost of his or her care. Electricity, gas and heating fuel. If a trustee provides in-kind support and maintenance to the beneficiary for the above services, the SSI benefits will be reduced up to a certain point. The amount by which the Social Security Administration will reduce a beneficiary’s payments is determined using certain models. It’s important to know how much SSI a beneficiary is receiving and what payments would need to be made from a trust that could be considered in-kind support and maintenance. A cost-benefit analysis would be necessary to determine if it is worth a trustee making in-kind support and maintenance payments that will cause a reduction in SSI benefits. Special needs trusts or supplemental needs trusts are complex and there are serious implications for incorrectly paying certain expenses with them. Consult with your attorney about these issues if you want to set up a trust — or you are the beneficiary of one.